Sydney is the capital of New South Wales (NSW) and is the largest and oldest city in Australia. You can even visit Captain Cook’s landing place at Botany Bay, where the first European settlers arrived. 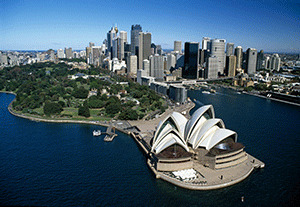 Sydney is also Australia's most iconic city, spread around the famous Sydney Harbour. It is known around the world for the Sydney Opera House and Sydney Harbour Bridge. The Bridge links the two sides of the city. You can walk across it, or, if you're really brave, you can climb it and enjoy the amazing views. You can catch one of the ferries that cross the Harbour to enjoy the spectacular views and explore the many interesting places on the water's edge, such as Luna Park, the Rocks, Circular Quay and Taronga Zoo. As you would expect from Australia’s largest city, Sydney offers plenty of entertainment, shopping and dining options. You will find markets to explore, along with museums, shopping centres, galleries, bars, clubs, restaurants, karaoke bars and many other exciting places. 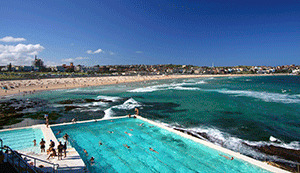 Be sure to check out the famous Bondi and Manly beaches, with their many beachside shops and cafés. Sydney also hosts numerous festivals and events, including the world-famous Mardi Gras each year — this is a city that knows how to party! Once you leave Sydney, country NSW also has plenty to offer. The Blue Mountains is a popular day trip, offering spectacular mountain views, bushland and native wildlife. You will also find cafés, restaurants, art galleries, craft shops and many other stores, along with a wide range of outdoor activities such as horse riding, golf and bushwalking. The Hunter Valley — one of Australia’s major wine producing regions — offers wonderful scenery, gourmet foods and distinctive wines. Close by is Newcastle, which is the state’s second largest city, and, like Sydney, is built around a large harbour. Newcastle is a popular destination for both visitors and students. It is close to Sydney and offers an attractive lifestyle with its large port, beautiful beaches, surfing, fishing and entertainment venues. A short drive south of Sydney is the thriving regional city of Wollongong, surrounded by lush green valleys and beautiful ocean beaches. Further south is the picturesque Eurobodalla Coast and prime dairy country such as the Bega Valley, with plenty of opportunities for cheese tasting. North of Sydney is Coffs Harbour, a sub-tropical beachside paradise and popular holiday spot. Further inland is Armidale, in the New England Tablelands, famous for its cathedrals, homesteads and country landscape. 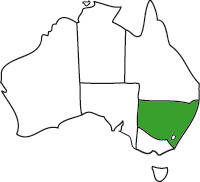 Other inland regional centres include Albury, Bathurst, Dubbo, Lismore, Orange and Wagga Wagga. For further information, see the Destination NSW website. The median weekly rental price in Sydney is AUD$550 for a house and $545 for a unit. In regional New South Wales, the median weekly rental price for a house ranges from $330 to $370 and the median weekly rental price for a unit ranges from $240 to $310. Sydney’s city and suburbs are connected by a network of buses, trains, ferries and light rail. Public transport in regional NSW is usually limited to a local bus service, so access to a car or other form of transport may be required. International students are eligible for discounted travel in some parts of NSW. For more information about public transport and fares, see the NSW Transport Info website. New South Wales has warm summers and mild winters. Sydney has an average maximum temperature of around 25°C in summer, which falls to 16°C in winter. With a huge range of education providers offering courses in just about everything, Sydney is an excellent option for any student. Of Sydney’s total student population, 23 per cent are international students. Regional campuses in Armidale, Coffs Harbour, Dubbo, Lismore, Newcastle, Orange, Wagga Wagga and Wollongong and offer students stunning natural surroundings, a relaxed lifestyle and specialised courses that take advantage of the local environment such as rural science and marine biology. There are nine universities in Sydney and five in regional New South Wales. As a large state, there is also a broad range of private higher education providers and TAFE institutes. New South Wales' total student population is around 391,000. Of these, around 23 per cent are international students and 12 per cent are domestic students from interstate.